Are you a business owner, entrepreneur, or leader of a business you'd like to be both profitable AND make a difference in the world? 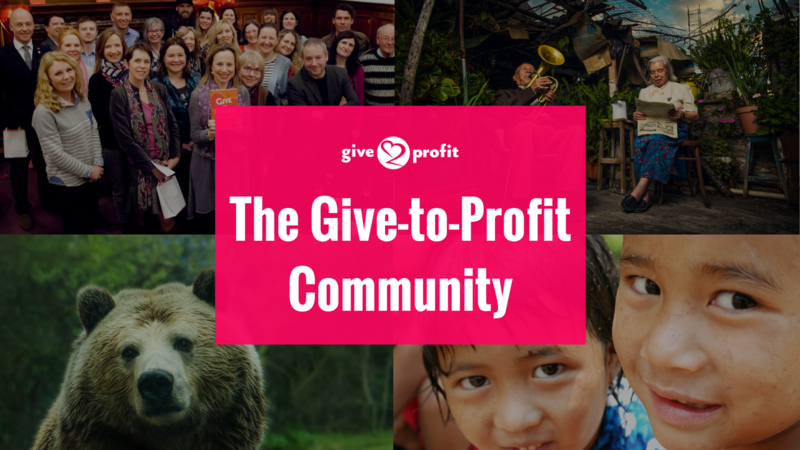 Join this global community to discover how to grow your business by supporting charities and causes, have a more social impact and expand your global network of like-minded people. Enjoy ongoing support from like-minded people, access to training resources and the opportunity to elevate your visibility, success, and impact. Find it easier to turn your ideas into reality–NOW rather than in the future! Dance through each day with more joy and fulfillment in your heart! CHANGEMAKER MEMBERSHIP - for business owners, entrepreneur, and leaders who want to learn how to grow their business by supporting causes, to be part of a community and to keep up-to-date with 'business for good' best practices. Sign up to the right by selecting either the monthly business, monthly cause or lifetime membership. AMBASSADOR MEMBERSHIP - for business owners, leaders, and entrepreneurs who want to learn how to grow their business by supporting causes AND how to improve their marketing or product/service offering for maximum impact. Sign up to the right by selecting either the monthly or lifetime membership. IMPACT LEADER MEMBERSHIP - for successful leaders, business owners and entrepreneurs who want to embed social impact strategies across their business and would like both personal and peer support for doing this in ways that are joyful, effective and energising. There are a limited number of spaces available at this level. Apply HERE. What do you get instant access to? Monthly community calls and fundraising Q&A calls. Select the best membership for you in the column to the right. For business owners, entrepreneurs and leaders. For leaders of charities and social enterprises.